Early Christianity held secrets equal to those of other great religions, says Annie Besant. Its first followers guarded them as priceless treasures. After an increasingly rigid hierarchy began to bury these truths in the early centuries A.D., they were known only to a few initiates, who communicated them privately, often in obscure language. 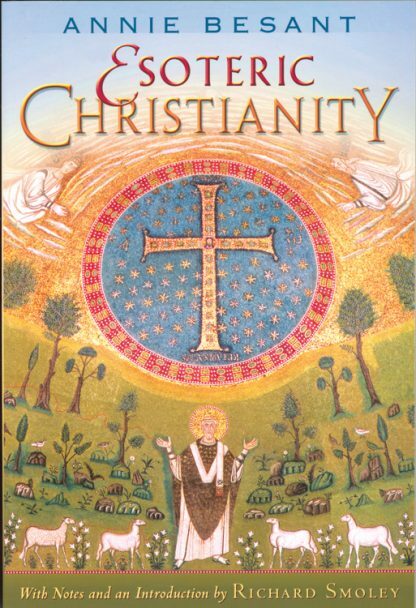 In Esoteric Christianity, Besant's aim is to restore the secret truths underlying Christian doctrine. As public interest grows in the Gnostic Gospels and the mystical side of Christianity, Besant's remarkable book, first published in 1901, is attracting new attention.